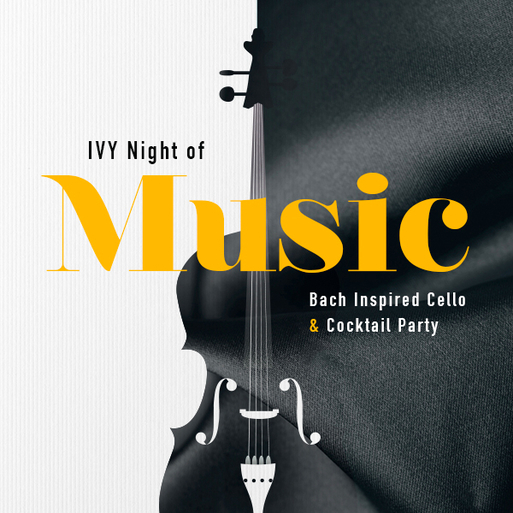 Join us for an intimate IVY Night of Music, as solo cellist Elad Kabilio performs some of the most exquisite music for unaccompanied cello from Bach to the present! Most of us are familiar with classical music on a large symphony hall stage, so this experience is your chance to enjoy this music in a much smaller setting with special introductions to the composers and their work, musical demonstrations, and fascinating anecdotes. Elad has performed in some of the most famous concert halls in the country, including Carnegie Hall, Alice Tully Hall, and the Joyce Theater, and now he’s joining us for this uniquely intimate concert. We’ll enjoy a special complimentary welcome drink before the performance and continue the night at an after-party with à la carte cocktails.